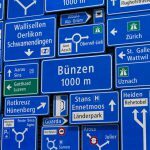 Traffic cost the nation 1.9 billion francs in 2015, according to calculations by Switzerland’s Federal Office for Spatial Development (ARE). Most of the cost (69%) was time lost waiting in traffic. The cost of traffic related accidents accounted for a further 24%, and wasted energy (5%) and environmental costs (2%) made up the rest. 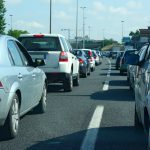 Between 2010 and 2015, total traffic costs rose by 7% from 1.8 billion to 1.9 billion francs, roughly in line with population growth which rose 6% from 7.9 to 8.3 million over the same period. The biggest rise in cost was time lost, which rose nearly 14%. Energy (-8%) and accident costs (-6%) both fell over the same period. Energy and climate costs together rose by 7%. 1.9 billion francs represents 0.3% of Swiss GDP1. 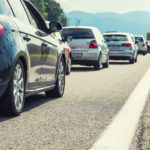 Along with developing road infrastructure, ARE recommends measures to cut rush hour traffic, which include flexible work and school times, more working from home and videoconferencing, and road tolls, something being tested in the canton of Zug. In London, charging motorists reduced traffic in the city centre by 26%, according to one calculation. At the same time bus passengers increased by 37% and air pollution was down by around 20%. 1 Swiss GDP 2015 – Federal Statistical Office.